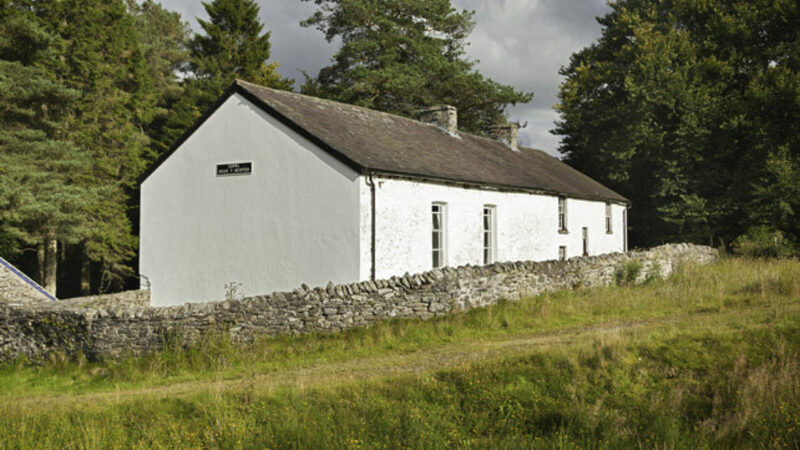 This beautifully plain 1822 drovers' chapel is remarkable for both its isolation and its influence on artists and writers from Wales. To travel to it, follow single tracks, passing miles of ruined buildings, waterfalls, open land and forest. 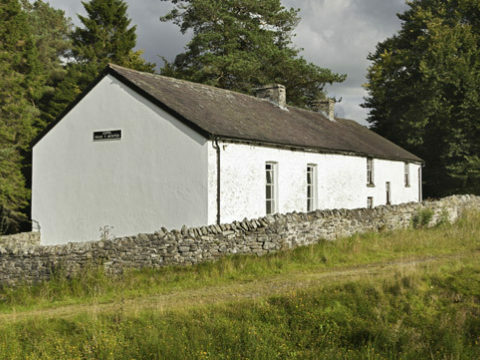 Reputedly the most remote chapel in Wales, in the 1960s - like many of its kind – Capel Soar y Mynydd was threatened with closure due to a dwindling congregation. 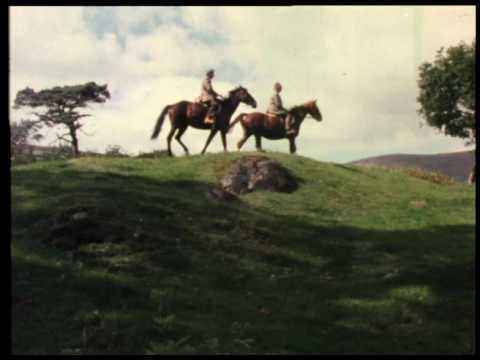 However, over the past 40 years it has become iconic in Welsh culture, representing the lost age of sheep herders, and still operates a limited service. 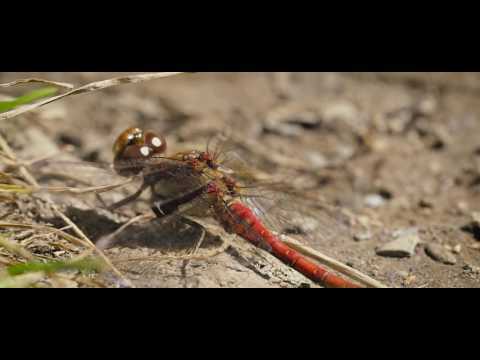 It is the subject of poetry by both Harri Webb and Iwan Llwyd, and travel prose by Jim Perrin. 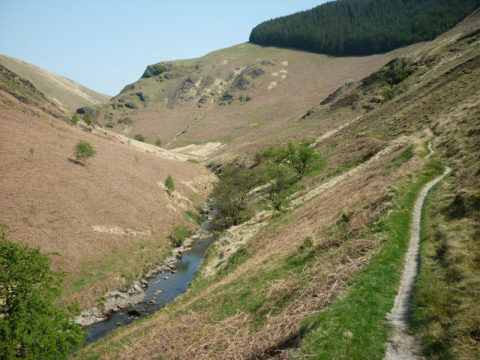 A circular walk leaves the chapel, heading south-west to Pen y Gurnos, before continuing up the remote Doethie Valley, following the river, and returning east along a track. The historic Lôn Goed is a tranquil 8km oak-lined path which dates from the early 19th century. 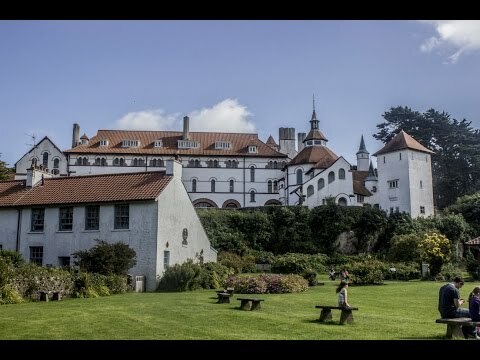 It was built from the coast inland to transport stone to the Mostyn Estate, and was immortalised by renowned poet R Williams Parry (1884-1956) in his famous poem 'Eifionydd’. 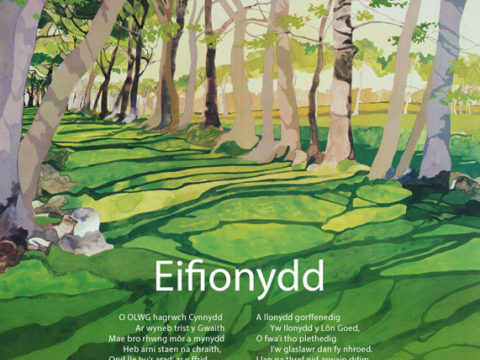 As a result, Y Lôn Goed is a place of pilgrimage for Welsh language poetry lovers and is a place of sanctuary at the heart of the Eifionydd countryside. 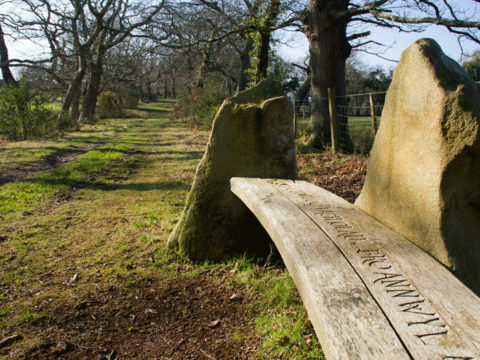 The path doubles as a wildlife corridor, so look out for polecats, bats, barn owls, hares and weasels as you walk the linear route. If you reach the coast, pop into Tafarn y Plu in Llanystumdwy before you head back. This characterful pub sits opposite David Lloyd George’s childhood home and is a favourite for writers tutoring and attending the nearby Tŷ Newydd Writing Centre. 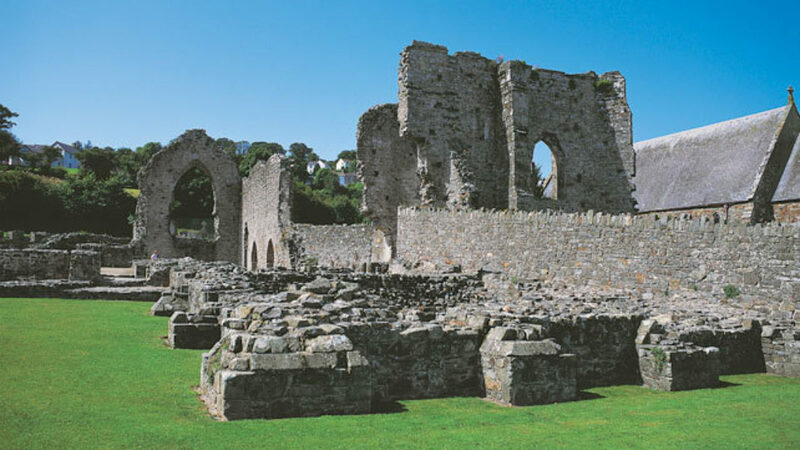 This Abbey takes its name from the 6th century Saint Dogmael, reputedly the cousin of Saint David. 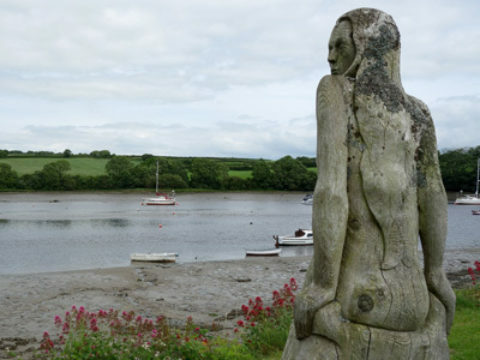 This was a spiritual and cultural powerhouse on the banks of the River Teifi, once famed for its impressive library. One of St Dogmaels Abbey’s literary gems, the 13th-century Eusebius’ Historia Ecclesiastica, survives to this day in St John’s College, Cambridge. 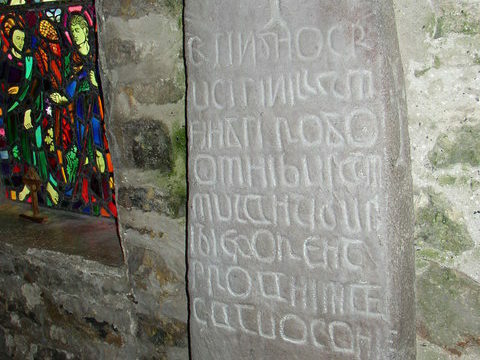 The Church of St Thomas the Apostle next to the Abbey features the Sagranus Stone bearing an Ogham inscription. The Abbey Coach House features a museum, as well as a cafe and shop selling local produce. For lovely views, take a stroll along the nearby Poppit Sands, or travel the leafy footpaths north of St Dogmaels for a glimpse of the unexpected Albro Castle – a massive Victorian workhouse currently undergoing restoration, and offering holiday lets. 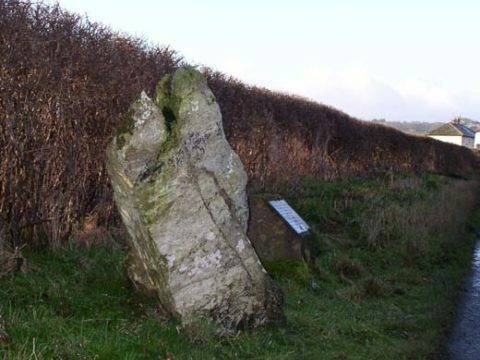 Maen Beuno ('Beuno's Stone') is the 1.6m high standing stone outlying Dyffryn Lane Henge, within a wider ceremonial complex dating to 3000-1800 BC. These monuments - and others, including a stone circle, round barrow burials and Sarn-y-Bryn-Caled Timber Circle - would have dominated this river meadow where the River Severn is crossed. 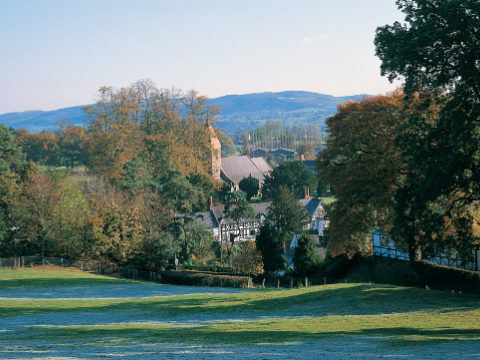 Maen Beuno is named after Saint Beuno (545-640 AD) who was born in Berriew and proclaimed the Gospel from this pagan spot. 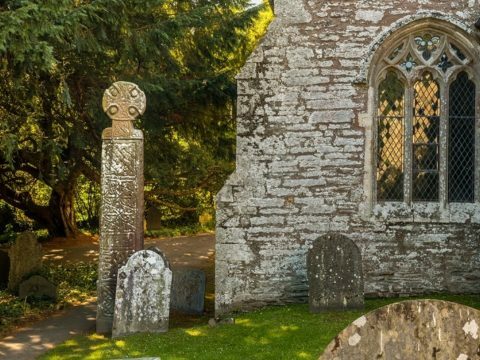 He established St. Beuno's Church a mile down the lane, and its ancient churchyard contains several impressive stone crosses, pillars, old yews and lime trees. There are more churches in Wales dedicated to Saint Beuno than to any other saint, and he appears in many legends from this time. 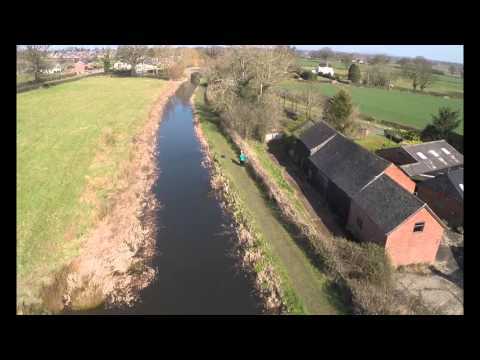 Berriew can be reached from the Severn Way walk along the Montgomeryshire Canal and offers several cafes and pubs. 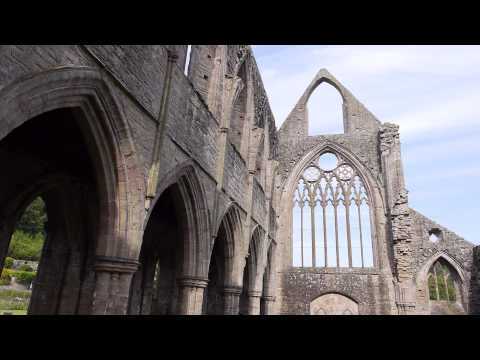 This ruined Cistercian abbey sits on an isolated, peaceful spot, south-east of Aberystwyth. 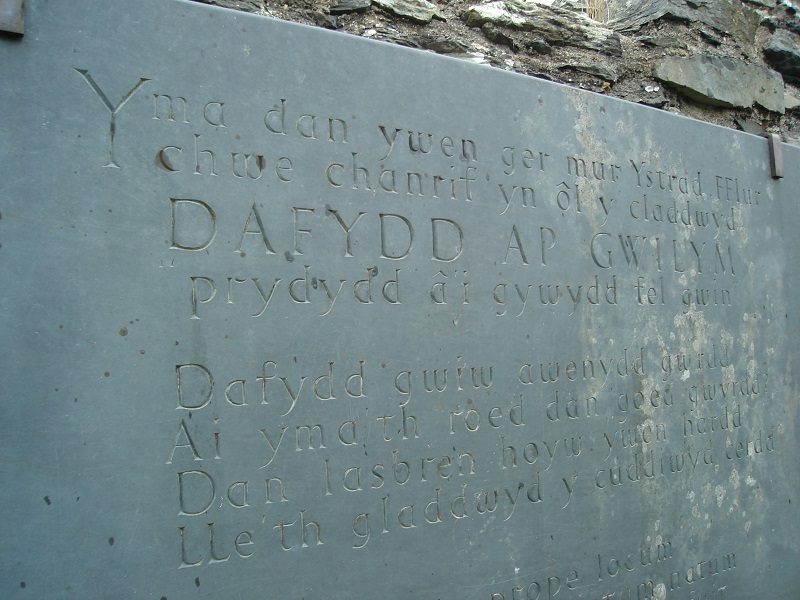 14th century poet Dafydd ap Gwilym is believed to be buried here, and a plaque to commemorate him sits in the midst of the spreading branches of an ancient yew tree. 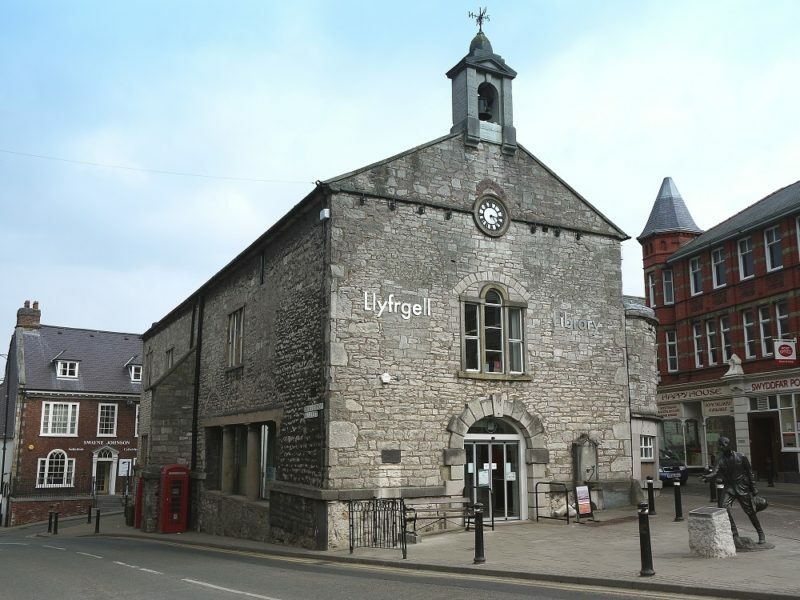 This was a thriving centre for Welsh manuscript writing, including the 1330 Brut y Tywysogion ('Chronicle of the Princes') which was the first history of Wales in Welsh, as well as several stories from The Mabinogion. 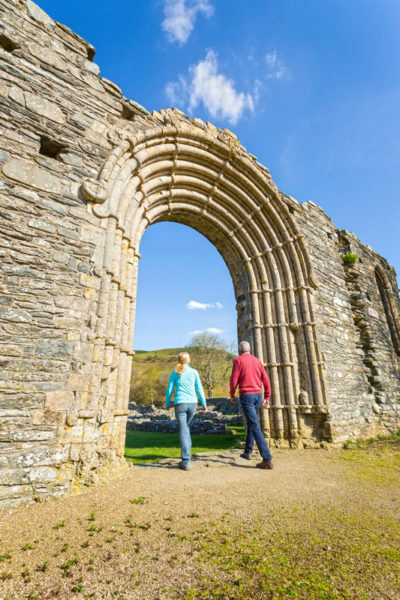 Strata Florida has inspired some of Wales’ best writers through the ages, including Hedd Wyn, Harri Webb, Ruth Bidgood, RS Thomas, Gillian Clarke and Gwyneth Lewis. It was also the home of the mysterious Nanteos Cup before the Abbey was dissolved in 1539. Wander the ruins through this Vale of Flowers (its name translated from Latin), which is now managed by Cadw. 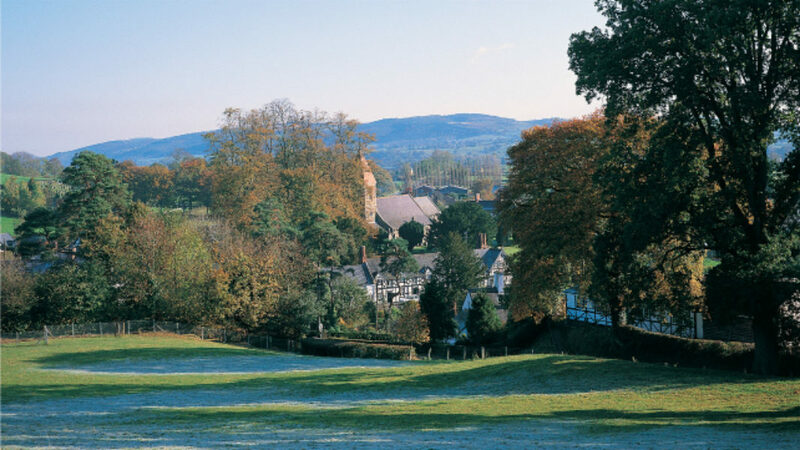 Now a quiet and picturesque village, Nevern has been an important ecclesiastic hub over the 1400 years since Saint Brynach established his monastery here. A 700-year-old avenue of yew trees leads through St. Brynach’s ancient churchyard, and includes the famous bleeding yew. Countless legends explain its seeping red sap, ranging from the wrongful hanging of a young man centuries ago, to the absence of a Welsh Prince at Nevern Castle. 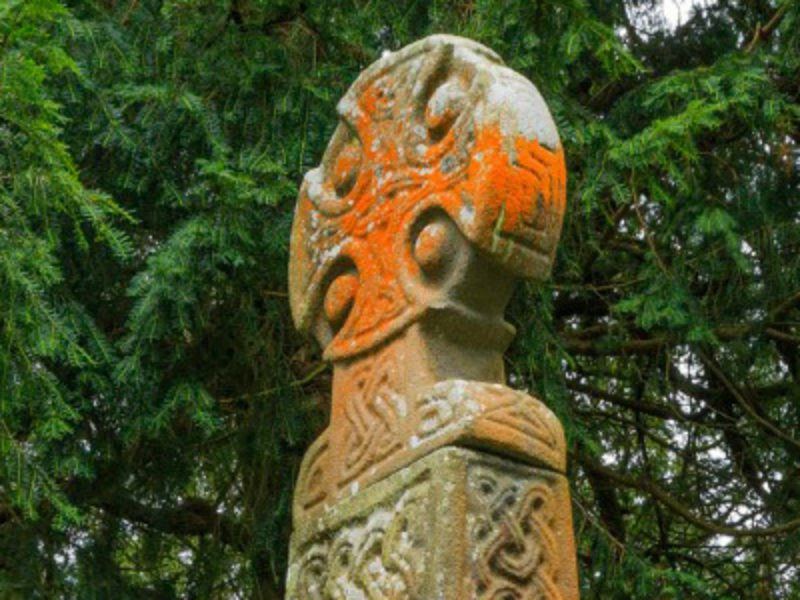 St. Brynach’s has several stunning carved stones, including two with Ogham inscriptions and the 10th/11th century Great Cross of St. Brynach, from which the first cuckoo of spring is said to sing. 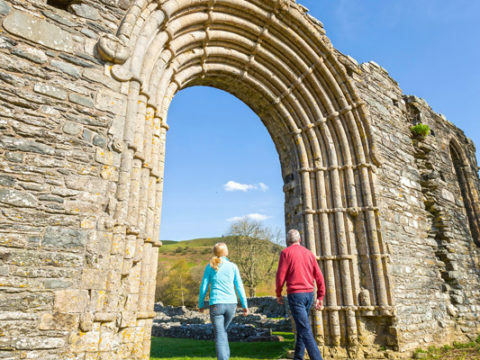 Walk the footpath beside the Nyfer River to see the famous Pilgrim’s Cross, incised above rock cut steps – this marked the pilgrimage route between Holywell and St David’s; or turn to the east for the impressive castle ruins. With its ancient churches, footpaths and picnic spots, generations of visitors have enjoyed day trips from Tenby to Caldey Island. 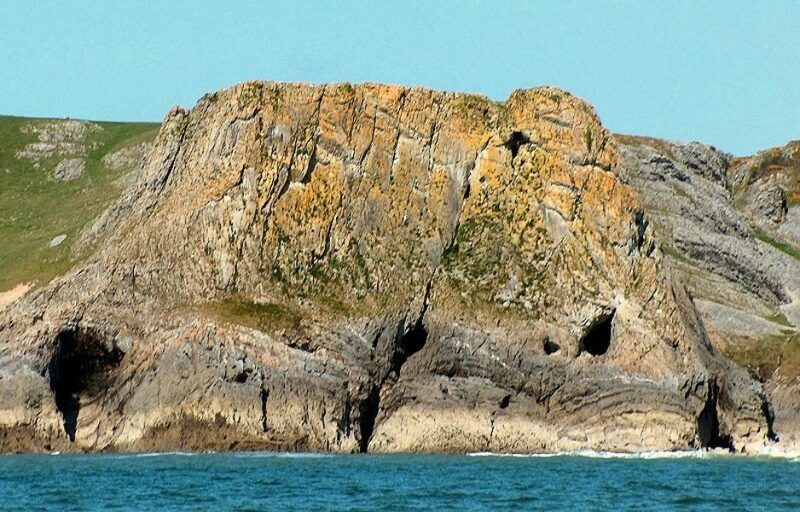 Saint Illtyd and Saint Dyfrig founded a monastery here in the 6th century. The current inhabitants are Cistercian monks, and their charming monastery takes pride of place in the centre of the island. 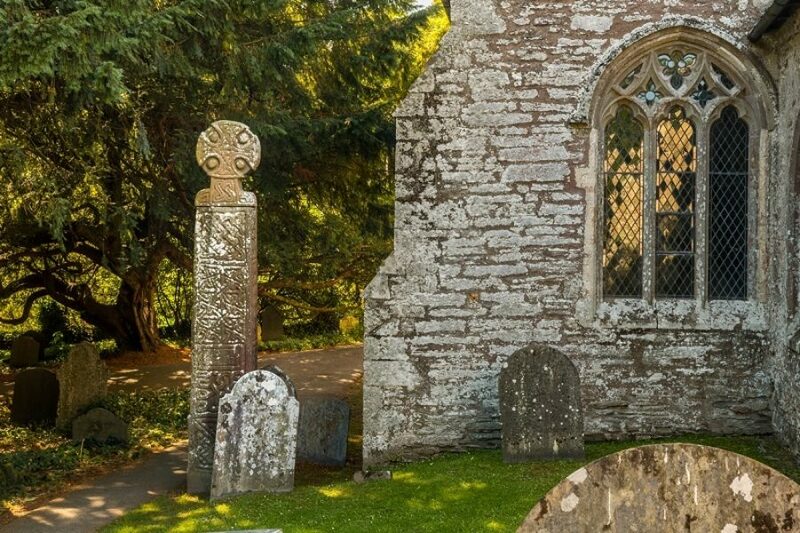 Visit the old priory and St Illtyd's Church with its oddly shaped steeple. 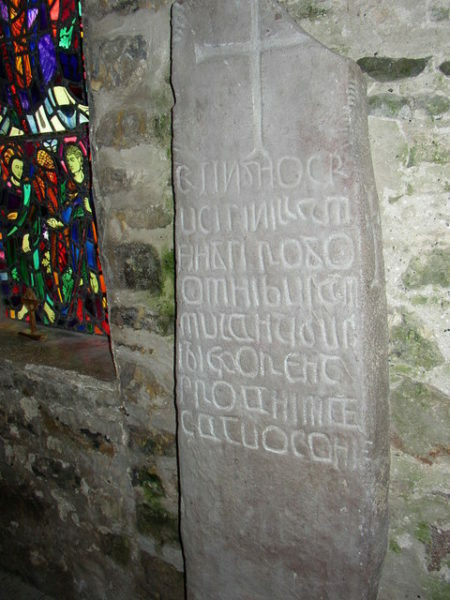 Inside is a stone with an inscription in Ogham dating from around 500 AD; one of the earliest examples of writing in Wales. Various attempts at translation include ‘Dyfrig’, ‘Illtud’ and ‘Jesus’. 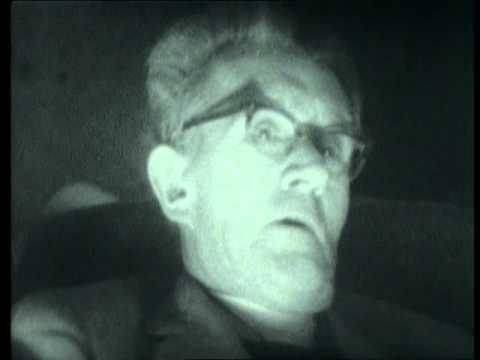 Poet and painter David Jones (1895-1974) was a frequent visitor to Caldey - his epic poem In Parenthesis is considered one of the greatest literary works of the First World War. Gwen Ferch Ellis (1542-1591) was the first person convicted and executed for witchcraft in Wales. She was a healer, herbalist and wise woman accused of leaving a curse at the home of Thomas Mostyn of Gloddaeth, who was quarrelling with Jane Conwy of Marl Hall. Ellis was probably framed or scapegoated because she knew of a former affair between Conwy and Mostyn. In local legend, inebriated men from the village barged into her home and took fright at a large fly, thinking it was Ellis’ demon. New charges were brought of causing death and insanity, and she was tried for witchcraft in Llansanffraid Church. The case was transferred to Denbigh Court, where she was hanged in the town square – now the location of Denbigh Library, Museum & Gallery which has collections from this period. Britain’s smallest city has one of its most attractive cathedrals. 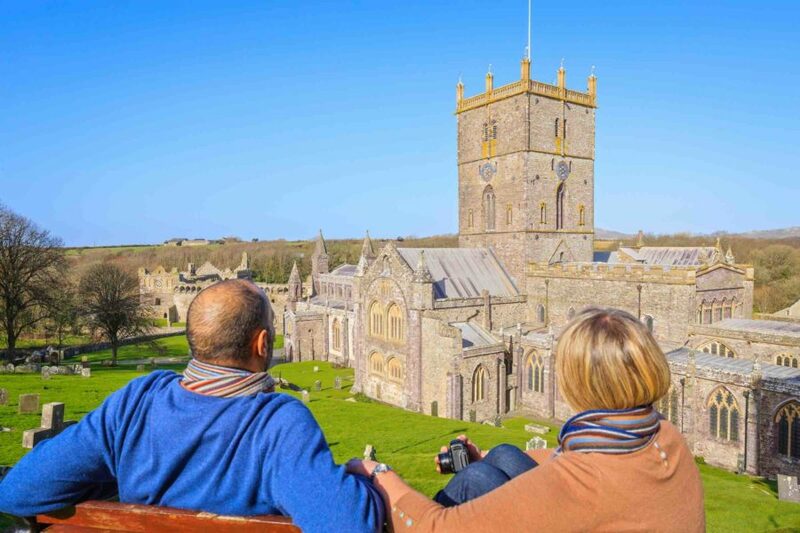 Built in the 12th century from honey-coloured stone on the site of Saint David’s (c. 500-589) monastery, it drew significant crowds. 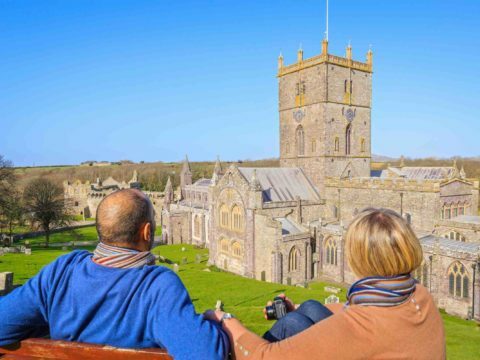 Two pilgrimages to St David’s Cathedral were equal to one trip to Rome. 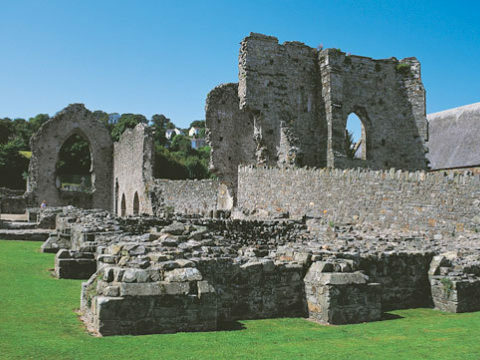 Rhigyfarch (1057-1099) tells the story of 5th century chieftain's daughter Non, who was Saint David’s mother. 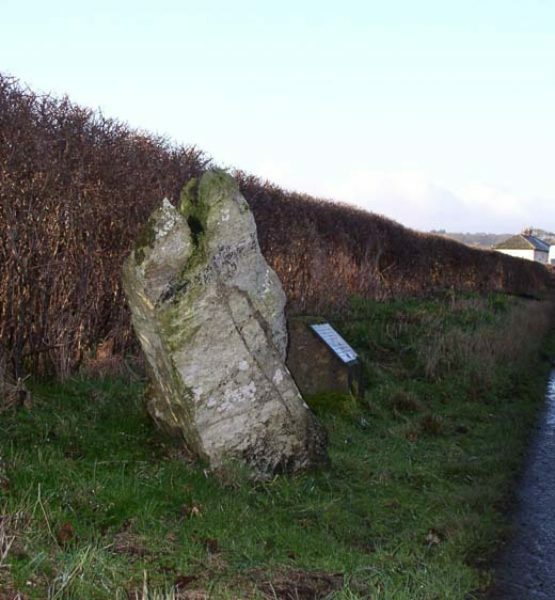 Raped by the King of Ceredigion, during labour she was bathed in light and the rock beneath her split in sympathy. This stone now lays under the altar of St Non's Chapel. 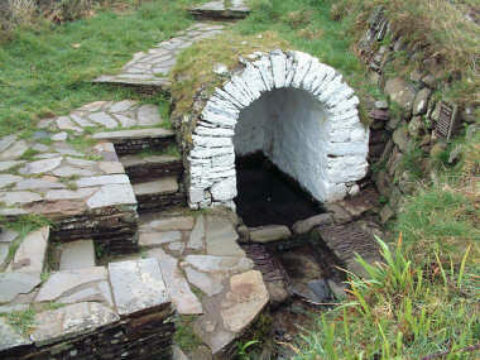 Nearby is St Non's Well, said to have miraculous healing powers. 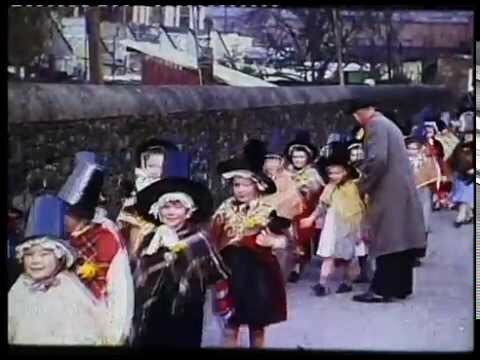 The legacy of Saint David, our patron saint, lives on every 1 March - a day of celebrations and parades throughout Wales. 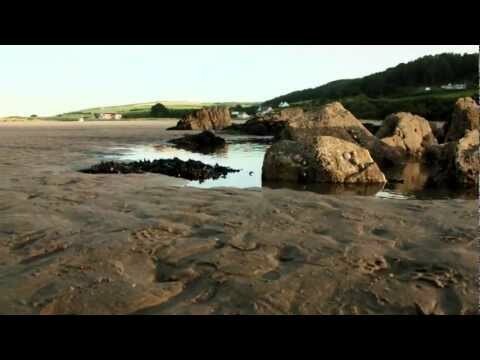 Before your visit, book a table at The Shed at nearby Porthgain which serves fresh local seafood. The Red Lady of Paviland was discovered in Goat's Hole West in 1823. This Palaeolithic skeleton was buried with a collection of periwinkle shell, mammoth ivory, and bone beads and rings. The grave was covered with red ochre and a mammoth skull was placed on top. 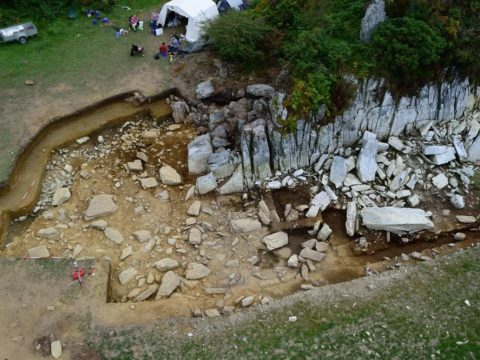 Later identified as a 25 year old male, he was interred c. 31,000 BC when the cave edged a low-lying plain 70 miles inland. 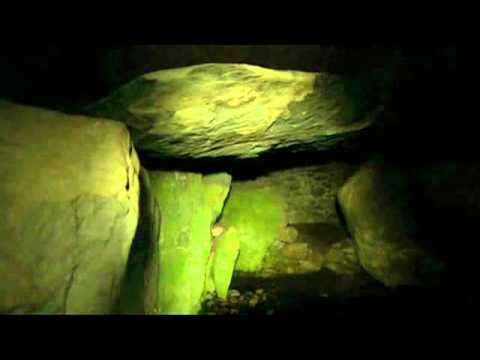 The Red Lady may have been a shaman – the treatment of his grave is unusually elaborate for the time. 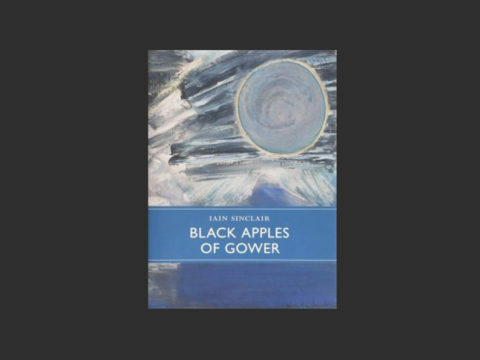 Iain Sinclair's novel Black Apples of the Gower is a wondrous journey through mystic Welsh places and includes a quest to reach the cave. 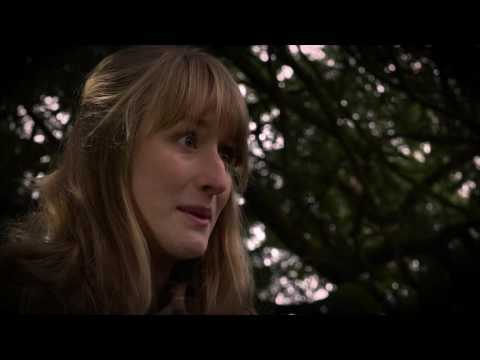 Menna Elfyn wrote Y Dyn Unig (‘The Lonely Man’) in homage to the Red Lady. A coastal path approaches the cave at low tide via Foxhole Slade. 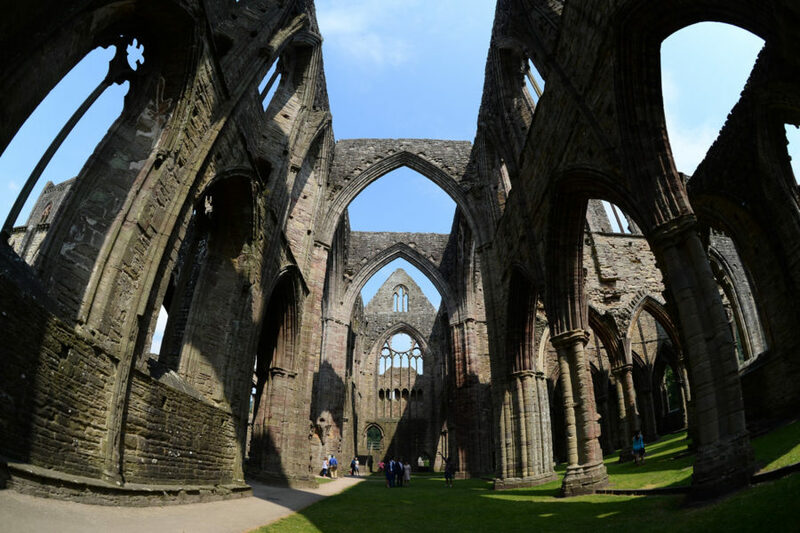 Probably the most famous of Wales’ medieval ruins, Tintern Abbey became a fashionable touring destination in the 18th and 19th century. 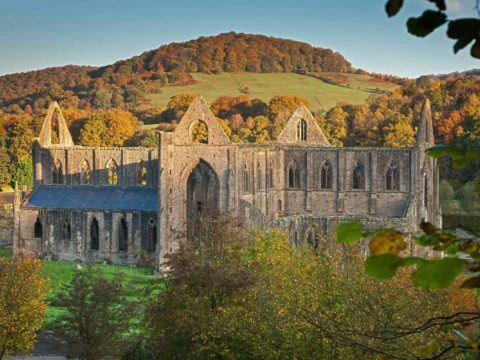 Founded in 1131, its setting in the steep-sided Wye Valley is truly breath-taking, with soaring gothic arches which can be viewed from many different angles. 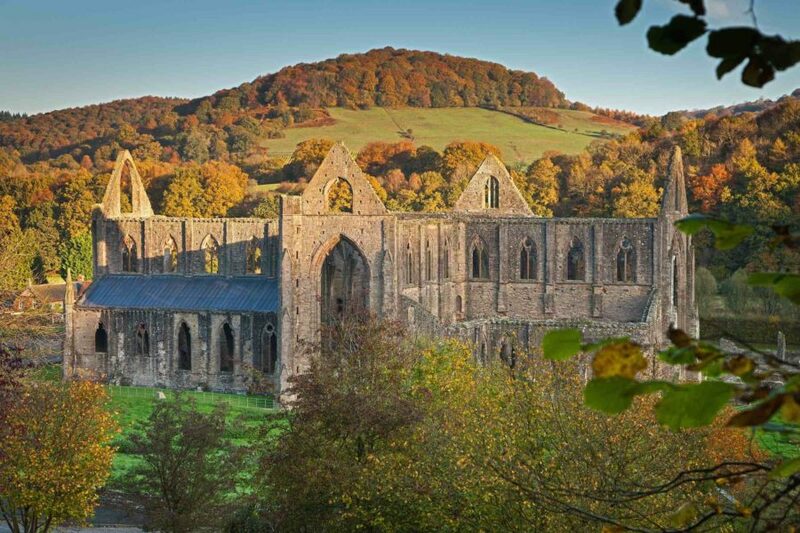 William Wordsworth (1770-1850) visited twice – once in 1793 and again in 1798, when he recalled his earlier trip and reflected on the five years that had passed in his poem Lines Written a Few Miles above Tintern Abbey. 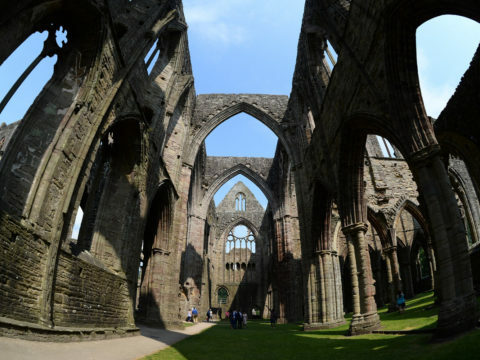 Countless other artists have been inspired by Tintern, including painters Thomas Gainsborough and JMW Turner. Recent investigation of photographs held by the Roald Dahl Archive revealed a previously un-located image of the young author and his sisters at Tintern. 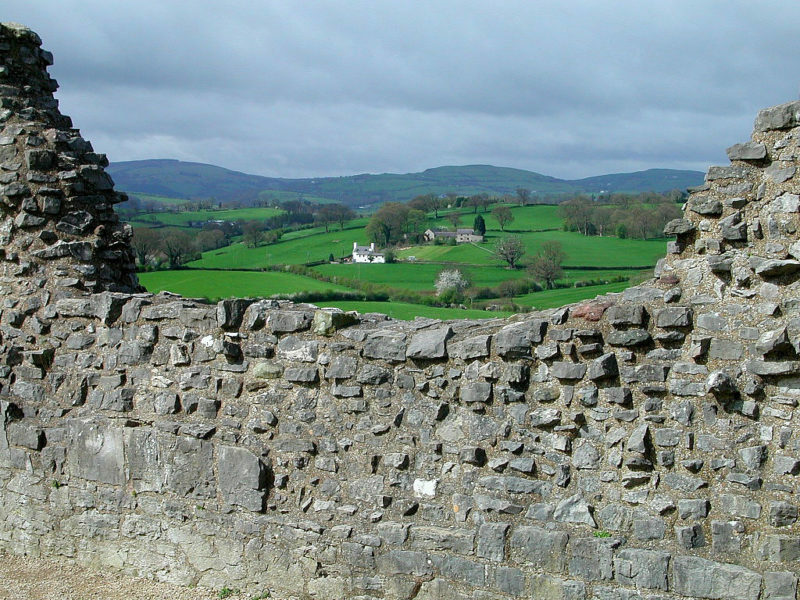 The site is now run by Cadw. 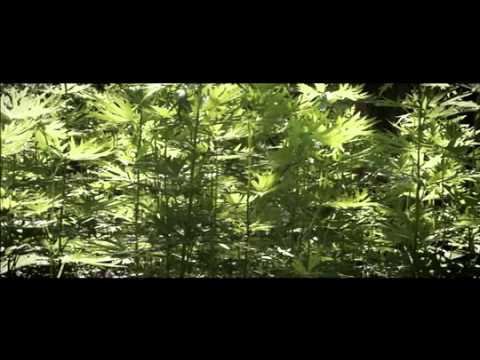 Some of the bluestones of Stonehenge were quarried here. 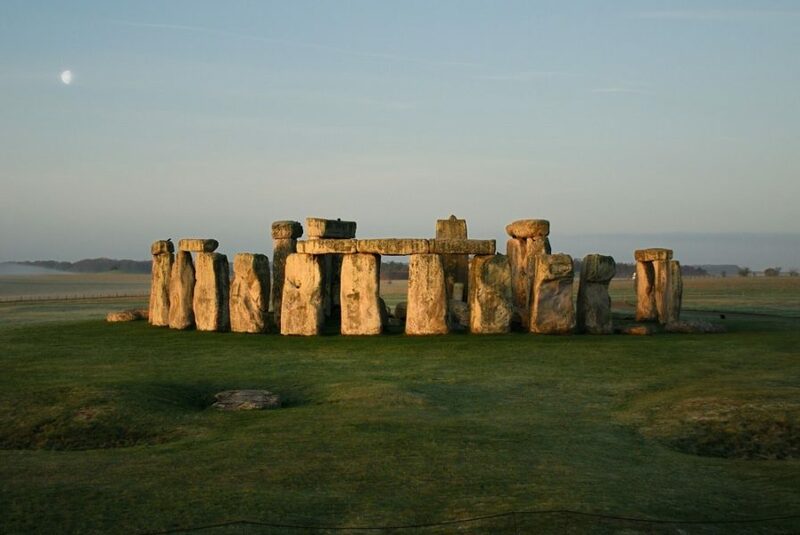 First used for a local monument in about 3400 BC, they were moved to Salisbury Plain 500 years later where they stood in various settings before the giant inverted ‘U-shaped’ stones joined them in 2500 BC. 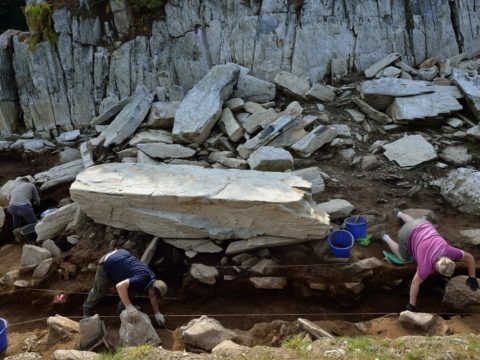 This makes Stonehenge a truly Welsh site - something supported by the Boscombe Bowmen: seven individuals re-buried in a mass grave near Stonehenge around 2300 BC. 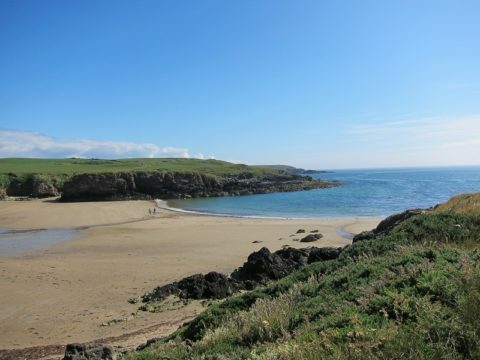 All were seemingly born and raised in south-west Wales, travelling to Wessex during their lifetime. 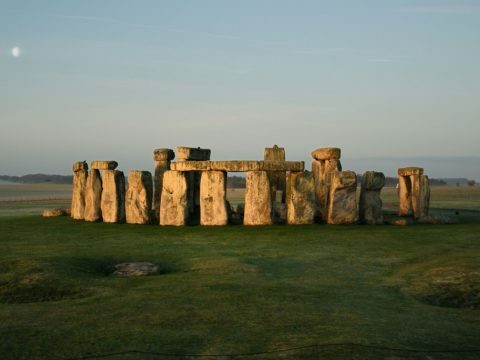 This connection and journeys from the west are recalled in folk legend - Geoffrey of Monmouth (c. 1100-1155) retells the ancient belief that Merlin brought Stonehenge from Ireland. The rock face retains the natural pillar formations which the stone-cutters exploited. 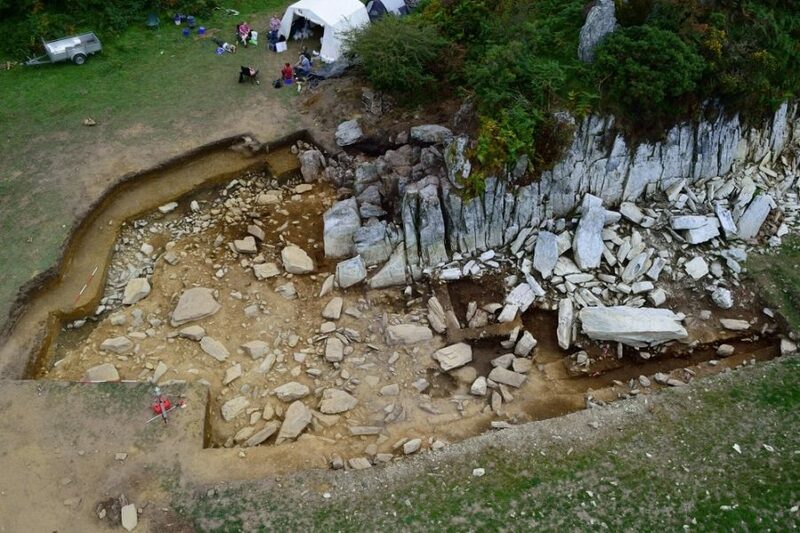 You can enjoy a picnic where they camped 5400 years ago, but please respect the site and leave it as you found it. 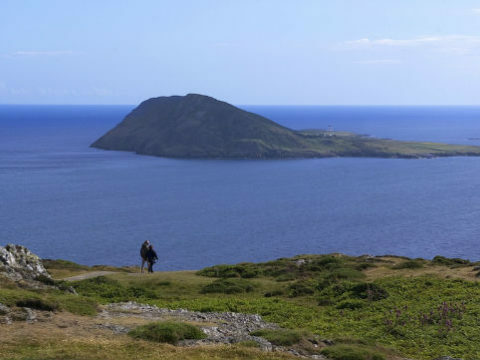 Bardsey is said to be the resting place of 20,000 saints, who share this beautiful island with migratory birds, puffins and grey seals who bask on rocks. 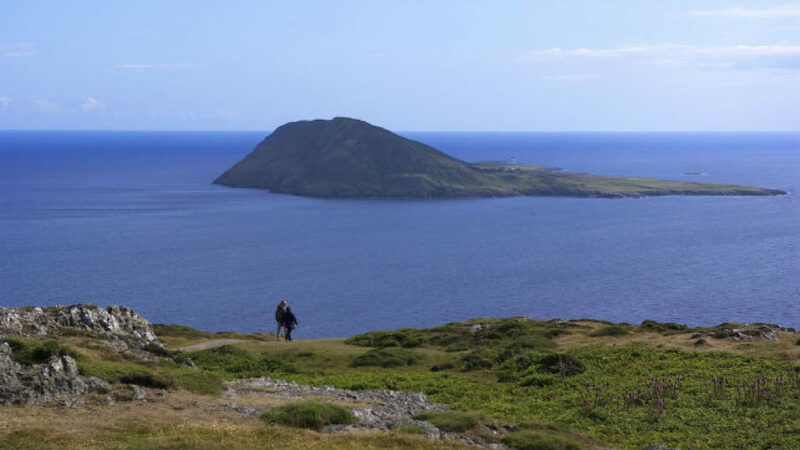 Pilgrims have travelled here since the 6th century, when Saint Cadfan established Bardsey’s monastery. 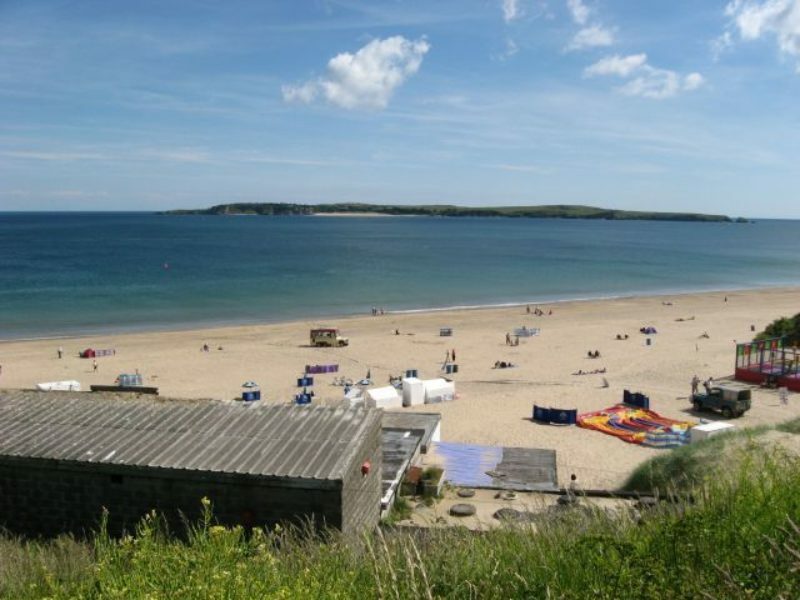 The island has been a literary retreat and inspiration for many writers and artists including: novelist and musician Fflur Dafydd (b. 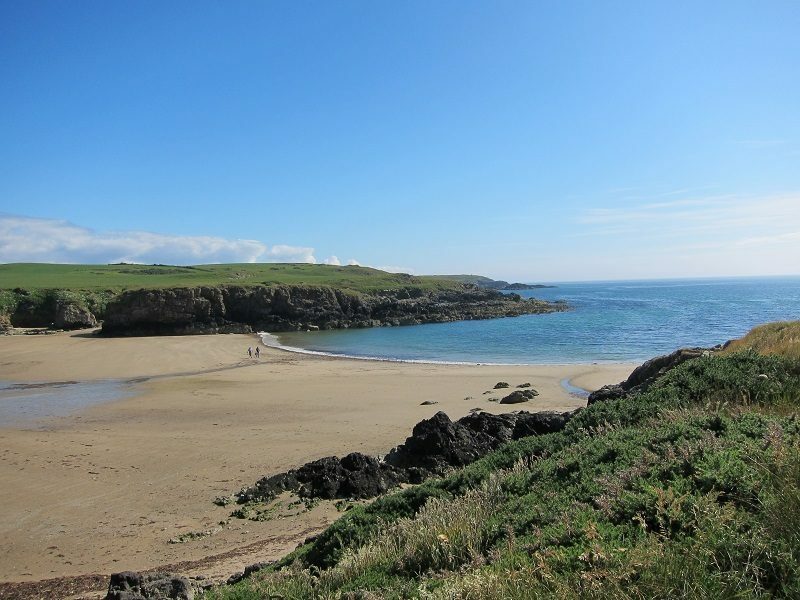 1978), whose novel Twenty Thousand Saints is set here; poet and visual artist Brenda Chamberlain; poet Christine Evans; writer Jon Gower; and poet RS Thomas, who was a keen bird watcher here. In 1953, poet and Bardsey teacher Dilys Cadwaladr (1902-1979) became the first woman to win the National Eisteddfod Crown for her poem Y Llen. 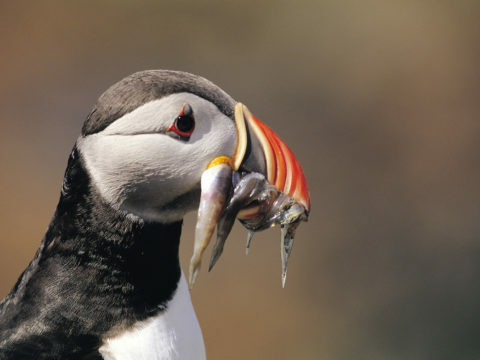 A National Nature Reserve tenanted by the RSPB, you can book a day trip or rent a holiday cottage. 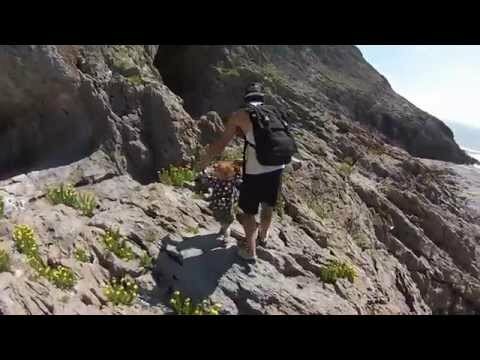 Keep an eye out for dolphins when you make the crossing. 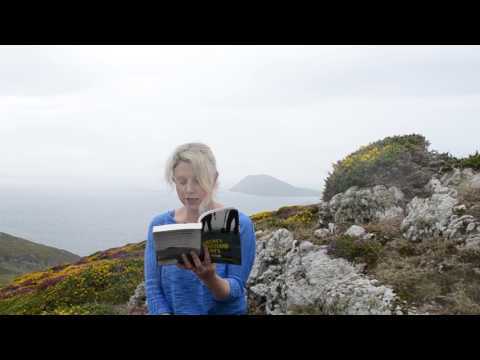 Video - copyright Digital Literary Atlas of Wales. 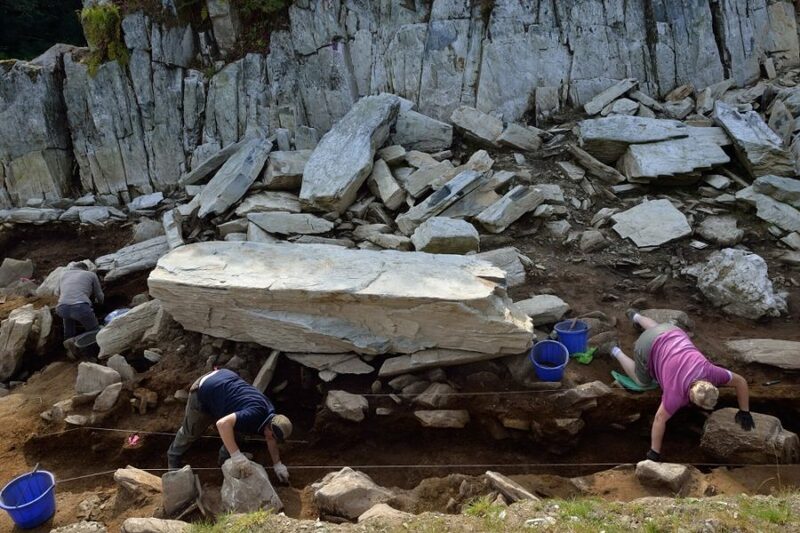 This Neolithic Passage Tomb from c. 3000 BC is one of only two still standing in Wales (the other is nearby Bryn Celli Ddu). Several of the tomb’s stones feature elaborate spirals, lozenges and zig zags, probably used to induce shamanic trances. Excavation uncovered the remains of a fire, covered by a stew of wrasse, eel, frog, toad, grass-snake, mouse, shrew and hare. 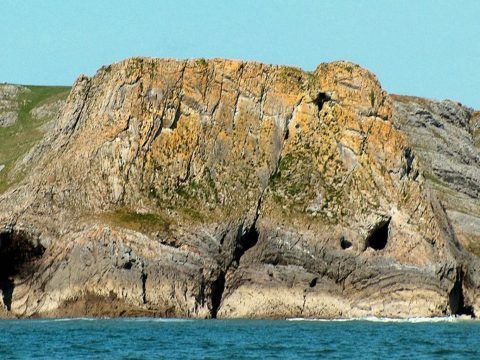 Its name - Barclodiad y Gawres (‘The Giantess' Apron’) - relates to a local story about a giant couple who were carrying rocks north to build their new home. 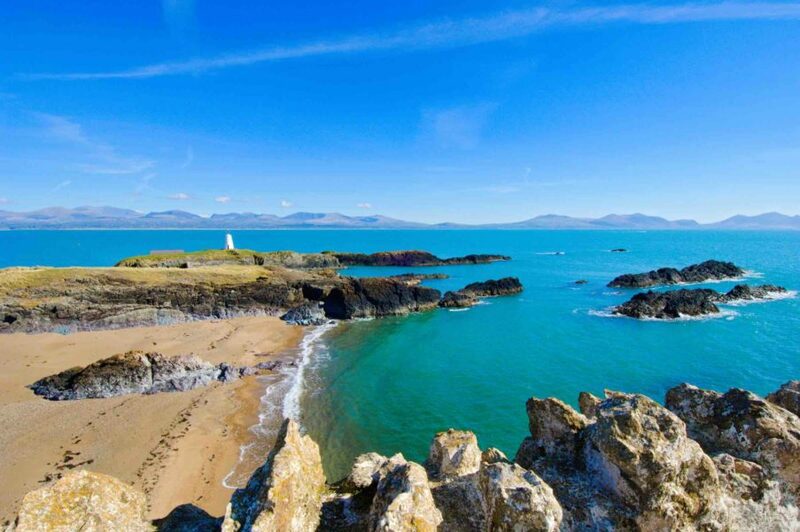 Weary from the journey, they passed a cobbler and asked him the distance to Anglesey, unaware they were already there. Scared, the cobbler lied and said they were miles away, at which point the giantess dropped her stones in anguish - leaving the tomb in her wake. Access is by appointment via the key holder at Wayside Stores in Llanfaelog. 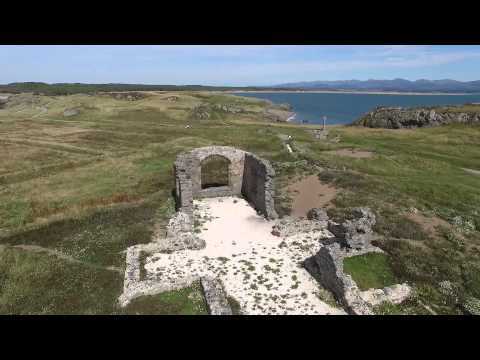 Saint Dwynwen (d. c. 460 AD) is the Welsh patron saint of lovers. Iolo Morganwg (1747-1826) recounts the legend where Dwynwen, daughter of Saint Brychan, fell in love with Maelon Dafodrill but was heartbroken when he broke off their engagement. In his fury, God turned Dafodrill into ice and granted Dwynwen three wishes. 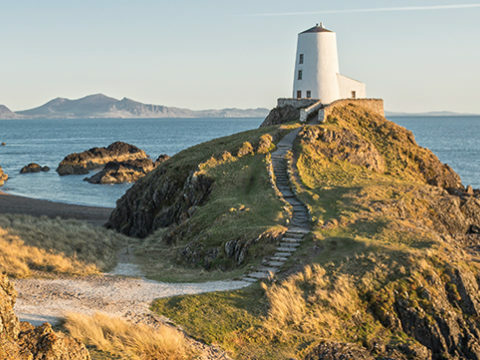 She chose to: thaw Dafodrill; be able to hear the prayers of unrequited lovers; and live out her life as a hermit on Llanddwyn Island. 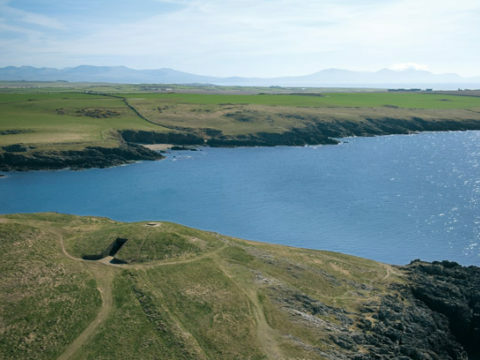 This magical island is one of the most wildly romantic spots in Wales. 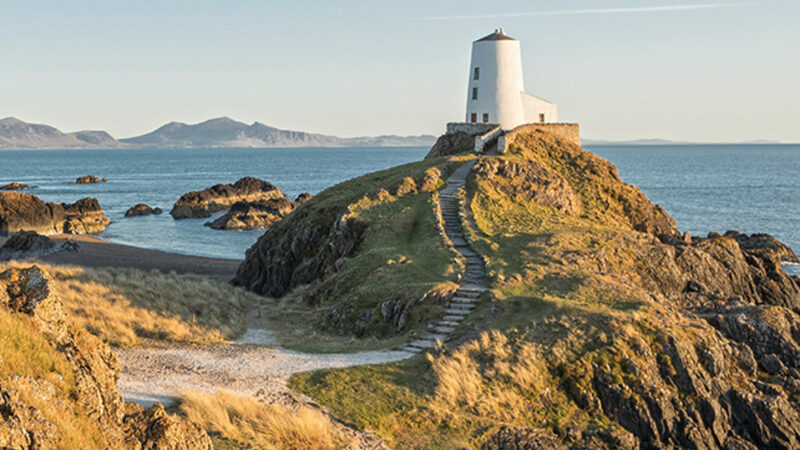 Walk across the Newborough Warren National Nature Reserve dunes in the footsteps of pilgrims seeking help with affairs of the heart. 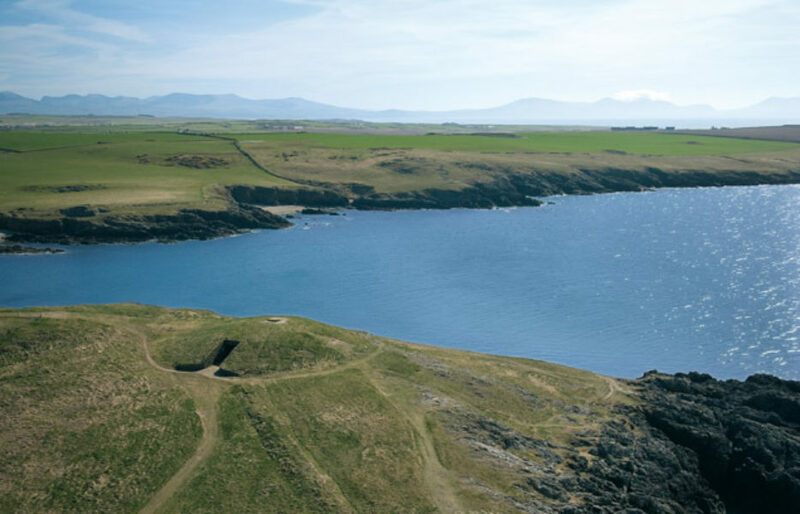 You’ll encounter the ruins and crosses of St Dwynwen’s Church, where the fish in its holy well foretold lovers’ destinies. 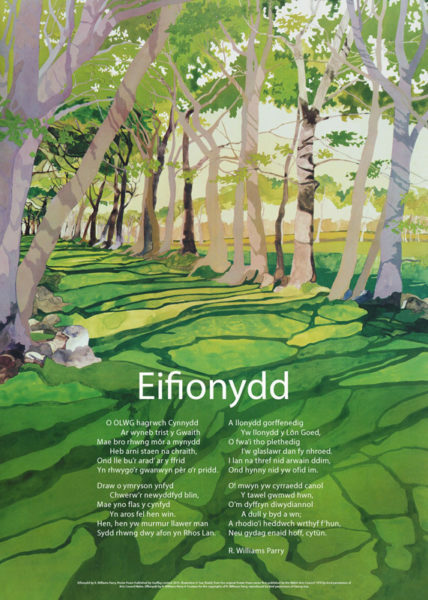 Dwynwen inspired poetry by Dafydd Trefor and Dafydd ap Gwilym, and is honoured every 25th January.